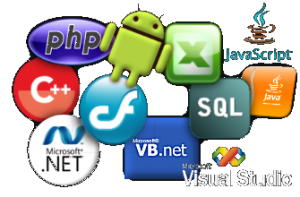 Our programmers are database and client application development experts with extensive experience in developing standard “install-to-deploy” programs as well as Internet based applications for business and government use. Our core staff has over 55 years of programming experience developing applications for clients like the Department of Energy, major power company trading desks, trucking firms, limousine services and many non-profit entities. This Android application allows the user easy access to the BlackUSA daily fact of the day using a reminder and popup. Full search capabilities provided allow database queries through the use of a data service we created on the BlackUSA server. Enhancements are planned to allow the app to also query the BlackUSA recipe database and get the recipe of the day as a pop-up as well. Limousine reservation and management system. Front end includes a customer reservation and payment interface with vehicle and driver availability verification. Back end includes full reporting and asset management modules for vehicles and employees, blackout dates, driver schedules, customer receipts and more. Truck dispatch and management system. Used in-house for scheduling and tracking drivers and trucks dispached to jobs. Generates reports by contract, sub-contract, job, truck, vendor, driver and more. Also includes full asset management and reporting capabilities. Mark-to-market analysis and reporting tools. Developed for a major US power company’s day-trading division, the requirements included collection of data from mainframe, access, SQL and online feed sources, then application of mathematical and statistical calculations to that collected data. Reporting was VIA required tables, charts and graphs and real-time ‘ticker’ displays. Developed for a branch of the Department of Energy, the pop-up directory was written in visual basic. It resided in the users toolbar and brought together employee data from three different database systems and consolidated the results in a succinct search application. The application drew data from a SQL system, a flat-file database stored on a mainframe and an Oracle database maintained by, and containing the employee information for, the contractor support staff. Users could use the application to find individual users, or whole departments, with or without their associated contractor staff. The results could be copied to the Windows clipboard for pasting, or saved to a comma-delimited data file. The application was only supported by the agency for four years, but employees kept on using it for another 11 years before it was finally retired, when the data sources were finally shut down. Various shopping cart, survey, membership portal, mailing list and other applications for use on various web sites, including those those we have designed.